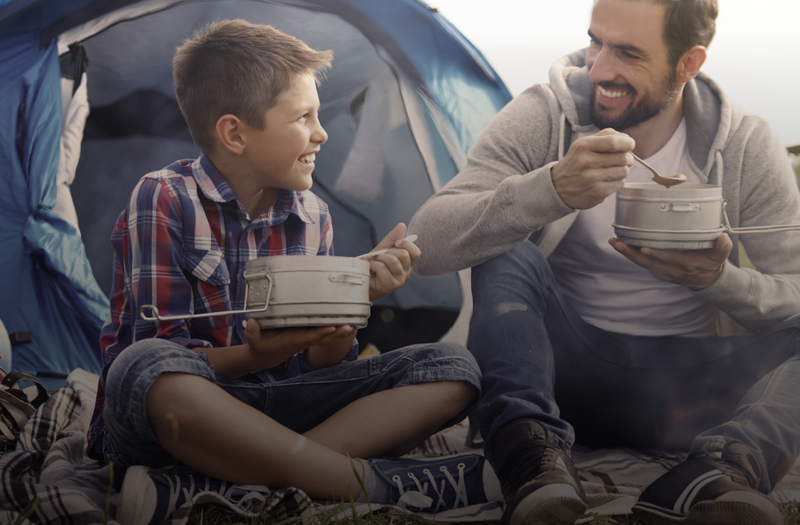 Think about what you teach your kids when you go camping or for a picnic in the park. A lot of the lessons revolve around safety. You teach them to not get too close to a campfire, how to avoid poison ivy, to wear sunscreen and to use bug spray. You want your kids to enjoy being outdoors. 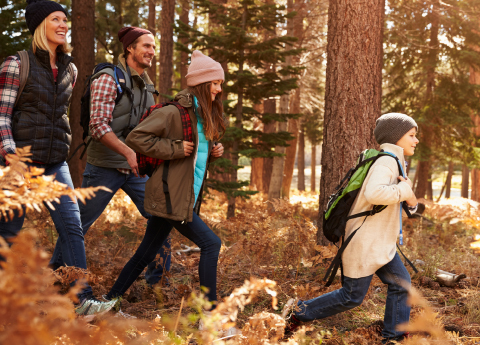 There are so many benefits from fresh air and exercise, including making a connection to nature, making new friends, getting a dose of vitamin D and better sleep. Here's another lesson you should be teaching your kids: how to recognize ticks, and how to do a tick check after everyone finishes their day outdoors. Most Manitobans are pretty good at identifying the wood tick, also known as the American dog tick. It's a little arachnid that crawls onto you (and your pets) in the spring months, usually when you walk through tall grass or brush. But what people aren't on the look-out for are blacklegged ticks, also known as deer ticks or by their scientific name, Ixodes scapularis. These tiny arachnids are out and about from snowmelt in the spring to snowfall in early winter. That's outside of what most people think of as "tick season." So why worry about blacklegged ticks? The infected ticks are known to cause diseases, namely Lyme, Anaplasmosis and Babesiosis. The last two diseases are relatively new in Manitoba. Tick-borne diseases are successfully treated with antibiotics if identified early. Untreated infections can leave you or your child with long-lasting complications involving the musculoskeletal and nervous systems. In Manitoba, cases of Lyme have all been trending upward since the province started tracking them. For example, there were five cases of Lyme disease in 2009 and 50 cases in 2016. Meanwhile, Anaplasmosis became a provincially reportable disease in Manitoba in 2015, when there were four cases. In 2016, there were 17 cases. Babesiosis also became a provincially reportable disease in 2015, when there were no cases. In 2016, there was one case of Babesiosis. Over the same time period, Manitoba has observed a geographical expansion of the tick population. Winnipeg was once known to have no blacklegged ticks and now we have found this type of ticks everywhere. That said, only a small percentage of the blacklegged ticks are infected and actually carry disease. In addition, the tick must be attached to you for 36 hours or more before it can transmit that disease. This leaves you with some time to take action and prevent the transmission of disease. 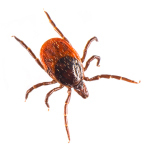 Nonetheless, anyone who feels they may have contracted a tick-borne disease should definitely make an appointment to see their health-care provider. Tick-borne diseases can be successfully treated, and treatment is most successful in the early stages of infection. So what can you, as a parent or guardian, do about ticks? How to recognize ticks, what to do and when to come to you for help. For age appropriate children, how to remove the tick safely. Wearing light-coloured clothing so ticks can be spotted more easily. The importance of applying insect repellent on clothing and exposed skin. Doing a tick check after returning indoors, paying attention to areas where ticks may be difficult to spot. Blacklegged ticks are most often found in long grass or places where there is a lot of leaf litter. If you do find a tick, report it. There's a new online reporting form called the Tick Checker, where you can upload photos of ticks, in order to help determine where ticks are being found in the province. 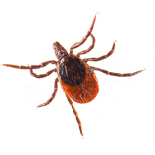 The month of May was designated as tick-borne disease awareness month in Manitoba. Teach your kids about ticks, just as you teach them about safety from injuries and the sun. Learning prevention now will serve them in good stead for the rest of their lives. Dr. Bunmi Fatoye is a medical officer of health with the Winnipeg Regional Health Authority. This column was originally published in the Winnipeg Free Press on Friday, May 12, 2017.